I never met Gul Hameed Bhatti. But when the news of his sad demise came on February 4, 2010 it made me sad. He was 63 years old. While I never met him, I knew him from my childhood and always regarded him as the one who was a walking encyclopaedia on Pakistani Cricket. He was a statistician par excellence and wrote for ‘The Cricketer’ magazine whose editor-in-chief was Hanif Mohammad and which was run by Riaz Mansuri. The mid-1980s was my own ‘alam-e-junooN’. I had got myself into this hobby of collecting scorecards of all the One Day Internationals played by Pakistan. It meant collecting scorecards of matches since February 11, 1973 (when Pakistan played its first ODI) to date. I bought myself a thick register (large size notebook) and from cricket magazines I used to hand copy the scorecards. Most of these score cards and their related statisitics used to come from Gul Hameed Bhatti. Therefore I regarded him as my ‘maseeha’ and was very impressed by his work. Those were pre-Internet days. As a school boy my research capabilites were very limited so I would go to any lengths to find old copies of ‘The Cricketer’ magazine. I used to frequent ‘thelas’ (carts) of old book sellers, Municipal library of my mohalla, Taimuria Library of North Nazimabad, Liaqaut National library etc. I used to look for old copies of ‘the Cricketer’ at these places and when found always looked for the statistics provided by Gul Hameed Bhatti. Whenever cricket is talked about and analyzed, Gul Hameed Bhatti is consulted and expert opinion sought for he is considered an authority on Cricket statistics. In his free time, Gul chose to play cricket on papers. He would make two teams, make them play and then record the entire innings with detailed analyses and hand drawn photos of action of bowlers and batsmen. He would write so artfully that it would look as it were typed. This is exactly what I used to do in my free (and not so free) time therefore I knew from as far back as 1980s that there was something connecting between me and this Gul Hameed Saheb of the Cricketer magazine. I also used to play ”cricket-at-home’ and ‘kitaabi cricket’ with imaginary teams and maintained their statisitcs in a notebook. Gul Hameed Bhatti was also the founder of a Cricket Statisticians Association of Pakistan. Its membership form used to get printed in The Cricketer magazine. It was my dream to join that association – one day. At that time I was in Grade VIII and for some reason never got myself around to actually apply for this association but I am mentioning it here as one more connection of how I knew Gul Hameed Bhatti. In those days there were only two good cricket magazines in Pakistan. One was ‘The Cricketer’ of Hanif Mohammad and other was ‘akhbar-e-watan’ whose editor was famous commentator Munir Hussain. I used to buy both of these magazines every month but what made The Cricketer superior in my eyes were the statistics provided by Gul Hameed Bhatti. He continued to write about cricket and then for the first time joined The Cricketerby one Riaz A Mansuri and started writing from Lahore. Then Riaz invited him to Karachi to take over as the editor. I still remember the day when I went to see him off at Lahore Railway Station and bade him farewell. So that was in early 70s and with that he bade goodbye to Lahore and took up his permanent abode in Karachi. Under his control, The Cricketerwas transformed into an international standard magazine with quality printing and substance. Gul was also credited of introducing the five Pakistani cricketers of the year section which became an instant hit with cricket fans. But probably no journalist came to be as closely associated with the magazine as the indefatigable Gul Hameed Bhatti, guru of stats. When Internet came, it destroyed the joy of collecting match score cards, noting the scores and calculating averages by hand (or by calculator). Now every kind of cricket record is available at a click away (see here and here). I had lost touch of reading Gul Saheb’s statistics for several years until few years ago when I found a very informative piece from him on Pakistan’s Domestic Cricket here. This brought me back in touch with his writing. For the past several years (since 1990) he was one of the sports editor/writer at The Daily News, Pakistan. I felt sad when I read the news of his demise few days ago. May he rest in peace. Hi, Can anyone please help me find some old issues of The Cricketer Pakistan Magazine (published by Riaz Ahmed Mansuri). Humayun, thanks for sharing your thoughts and memories here. Cricketer was indeed one of the best magazines from Pk and Bhatti saheb’s statisitics were the ‘jaan’ of it. 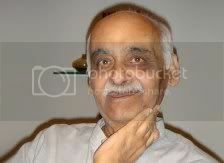 I is sad to hear that Gul Hameed Bhatti has passed away. I have been a cricket fan all my life and have read most of the things that you have talked about. In fact one day I was a magazine “Cricketer” at a news stand. It’s chief editor was none other than Hanif Muhammad. Incidentally, that was its second issue and I never failed to read all the issues thereafter. In fact when that magazine would show up at the newsstand I would buy it the moment I see. I never rested till I finished reading it till the end in one sitting. Gul Hameed Bhatti was the brain behind all the statistics and numbers in that magazine and then the others later on. Well played Gul Hameed Bhatti, nice little innings while it lasted. Thank you Owais Mughal sahab for remembering Gul Hameed Bhatti in so many beautiful words.